The alliance may be setting the stage for a leadership battle in the Pacific Coast province between the New Democrats and B.C. Premier Christy Clark, of the Liberal Party. British Columbia’s New Democratic and Green parties announced a four-year alliance aimed at forming the Canadian province’s first minority government in more than six decades. 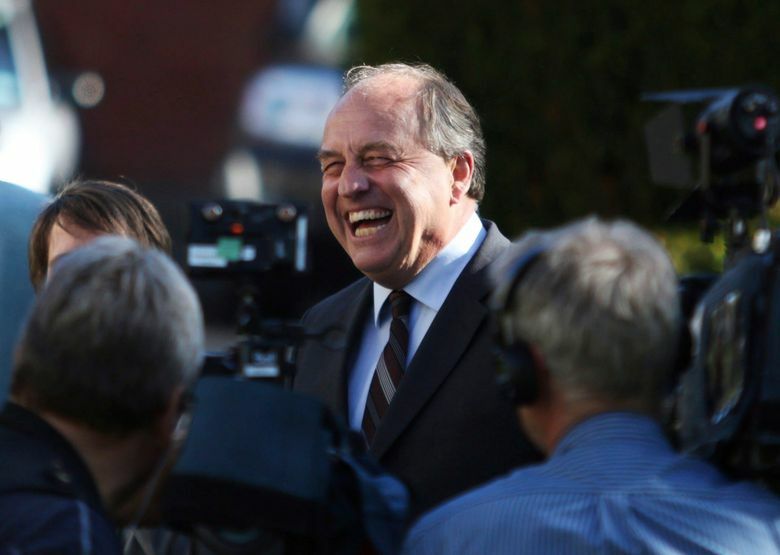 Green leader Andrew Weaver said his party has agreed to support the New Democrats (DNP) — which got close to winning half the seats in the provincial parliament this month. Details will be released Tuesday after the pact is ratified by members of the New Democratic Party, leader John Horgan said at a news conference with Weaver in Victoria. The alliance may be setting the stage for a leadership battle in the province between Horgan, a feisty 57-year-old former pulp-mill worker, and B.C. Premier Christy Clark, 51. The premier has indicated she intends to continue governing after her Liberal Party won the most seats in parliament — but fell one short of a majority — in a fiercely contested election May 9. The Liberals won 43 seats, the NDP took 41, and the Greens conquered 3 — the first time the party has ever had more than one. The province that boasts Canada’s fastest-growing economy hasn’t seen a party govern without a majority of the seats in the legislature since 1952. Even though minority governments aren’t unusual in Canada and a formal coalition isn’t necessary to govern, such a tight outcome is rare. The NDP-Green alliance would have only a one-seat edge over the Liberals in the legislature, which some political commentators have called unsustainable. The Green Party and NDP share similar ideas, such as raising carbon taxes and taxing housing speculators, and their alliance is likely to cloud the outlook for the Trans Mountain oil pipeline expansion. The issue of the pipeline expansion played a “critical” role in the negotiations for a deal and will be reflected in details of the pact Tuesday, Weaver said. The $7.4 billion (Canadian) project would nearly triple Trans Mountain’s capacity, which will allow Canada to start exporting oil to Asia, but is vehemently opposed by many in B.C. because of fears of an oil spill. Prime Minister Justin Trudeau’s national government has already approved the pipeline expansion, and what any government in British Columbia could do about that is not clear. Canada’s constitution gives the federal government authority over pipelines that cross over provincial boundaries. Weaver said a new government has several ways to prevent the pipeline from moving forward, including by conducting a fresh provincial environmental assessment that could thwart the project. “BC could step in and say it’s clearly flawed,” he said. In any case, legal challenges brought by indigenous groups and others may put the project into limbo, making action by the province unnecessary. During the campaign, the Greens promised to strengthen environmental regulations, curb log exports, increase a tax on carbon and set an interim target of a 40 percent reduction in greenhouse-gas emissions below 2007 levels by 2030. The economic importance of the forestry and pulp and paper industries to British Columbia will make it difficult, if not impossible, for either the BC Liberals or New Democrats to adopt any Green Party policy that might limit production in the interests of sustainability and climate-change mitigation. In 2015, the most recent statistics available, more than 65,000 people worked in the sector, and the forestry industry produced 10 billion Canadian dollars in exports for the province. Many forestry workers are members of labor unions that were part of the initial formation of the New Democrats and that are major donors to the party. The sector’s importance was clear when Clark suggested she might retaliate against the United States after the Commerce Department imposed a new round of duties on Canadian lumber last month in a decades-old trade battle. In addition to pushing its environmental priorities, the Green Party supports a ban on corporate and union political donations and a revamping of the province’s political system so that parties get legislative seats based on their proportion of the popular vote. The current system, in which seats are awarded to the candidate with the largest number of votes in each electoral district, favors the two large, entrenched parties. When the Green Party was formed in Canada in 1983, it was the first Green Party in North America. Its fortunes have gone up and down since then, often because of internal political struggles. The Canadian environmental movement’s base has long been in British Columbia, whose residents, like Californians, have a higher-than-usual interest in environmental issues. Elizabeth May, leader of the federal Green Party, was born in the United States, raised on Canada’s Atlantic coast and spent most of her adult life in Ontario. But she represents part of British Columbia in Parliament because the electoral district was seen as the most likely in the country to elect a Green candidate.